Discovering Northern Soul (a dance movement that grew out of the Wigan Casino club in the North of England) in 1977, further influenced by the DIY ethos and basic honesty of the Punk movement in the late 70’s and the resurgence of homegrown Ska and Reggae in UK, The Suit has been wedded to honest and soulful music all his adult life. 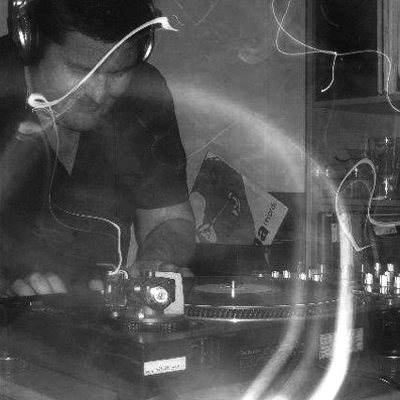 A long term listener and member of Dogglounge, Marko Darko (The Suit) had a ‘Road to Damascus’ moment of epiphany in The Curious J’s living room (mind your tongues boys’n’girls) in March 2007 when he discovered that beatmatching on a pair of Technic 1210 MkIIs was a LOT easier than on a pair of ageing belt drive Garrards (the last righe had played on in 1985). Returning home to the UK, he immediately bought himself a set-up, vinyl and got to work practicing; transforming a spare room at his offices into a studio and spending WAY too much time spinning (often into the not-so-early hours of the morning). 4 months later he was offered the opportunity to play out in Dogglounge.